Jamie’s got jury duty this week. He’s number 415 out of 450. Today numbers 1 through one-hundred-something were asked to report. Tomorrow there are no jury trials at all. Last time he had jury duty, he only had to report one of the five days and was not selected for a jury. So far this week is shaping up to be the same. Interesting to note is this is the third time since we were married almost 12 years ago that Jamie has been selected for jury duty. He got out of it the second time because we moved just before he received the selection notice. Since he was no longer residing in that county the selection was cancelled. I, however, have never been selected for jury duty. 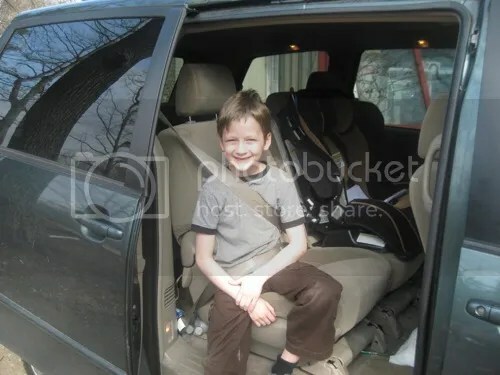 I do think it would be interesting, but at this point I can’t since I am the primary caregiver of four children, all of whom are home all day since we homeschool. Jamie is now doing science with the kids once a week (doing one Young Scientists Club kit each week). Ani was very excited about that. She told me I make science boring and don’t know all the answers but Daddy makes it really fun and asks good questions and knows everything. Gee, thanks, kid. Yesterday, 3/14, was pi day so we, of course, had pie. First we had pizza pies (the only time we ever call pizza pizza pies is on pi day). 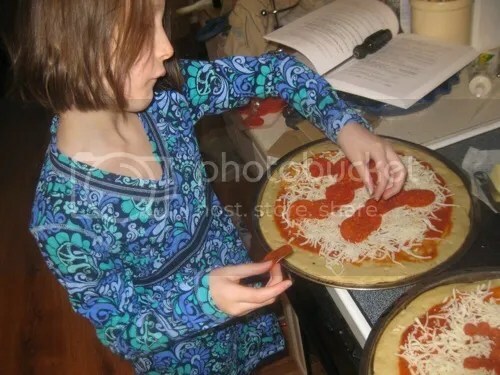 Ani got out her Life of Fred book and opened to the chapter on pi and copied the symbol onto a pizza using pepperoni. Pizza pies just out of the oven. And for dessert, coconut cream pie! Cameron’s been learning about Japan for the last few weeks so Jamie and I took him (and only him, no siblings) to a Japanese restaurant for dinner on Thursday. Of course Cameron loved being the only kid the most, but the food was a close second. We had a pretty good idea where it was. We found it no problem. 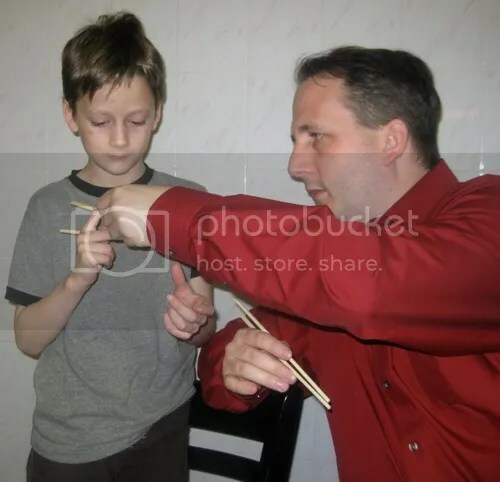 Jamie reminded Cameron how to use chopsticks. We got some excellent sushi. 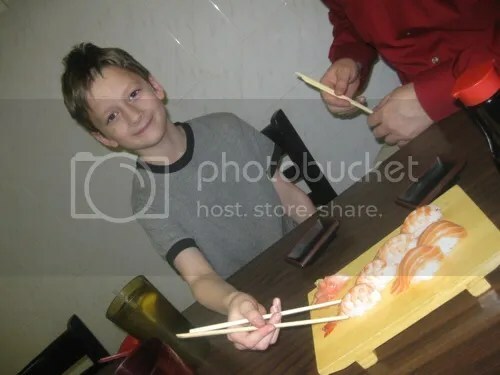 Cameron loves some sushi, but won’t try others. He ate some ebi (the shrimp ones), but wouldn’t touch the sake (the salmon ones). We got three random things to eat and all shared them. 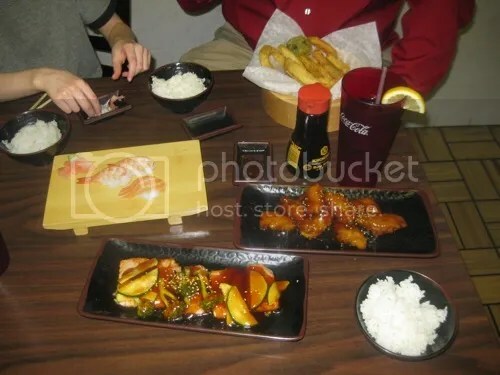 Dream chicken (a sweet and sticky soy sauce-based sauce over chicken), teriyaki salmon (Cameron’s favorite), and vegetable tempura. 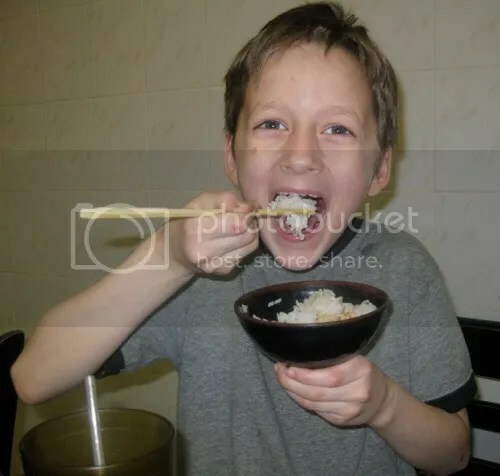 Cameron ate everything with chopsticks, including his rice. At first he wasn’t thrilled with learning about Japan, but now he’s totally changed his mind since he has liked what he’s learned and got to have an awesome meal, too. 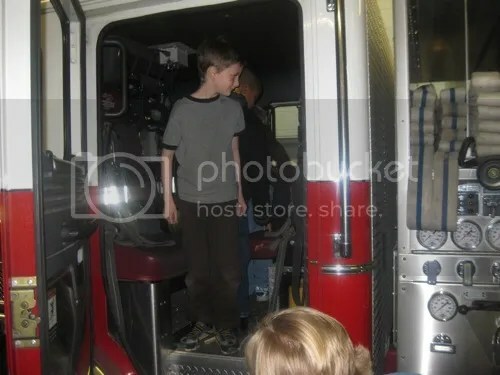 Thursday we all went to the fire station for a field trip. A friend of ours arranged it for the Cub Scout troop Cameron’s in. Three of the 8 year old boys came, plus my other three (10, 3, and 1) and our friend’s other three (7, 5, and 2). They got to go in a fire engine. 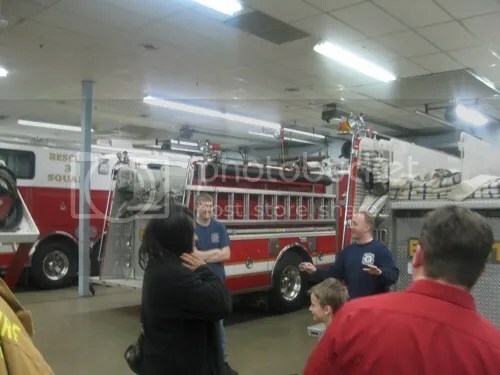 They learned about what each of the three kinds of fire engines they have do. 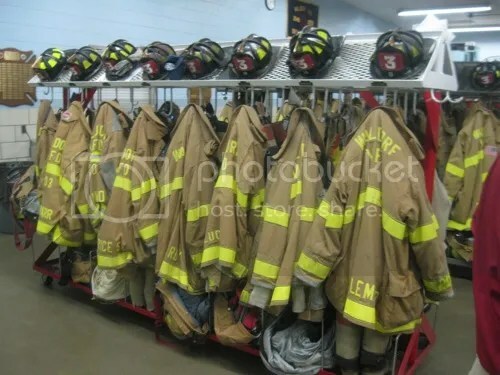 They looked at the outfits the firemen wear. Most of this row were rookie uniforms. The badges on the front of their hats weren’t blackened like many of the more seasoned firemen hats. 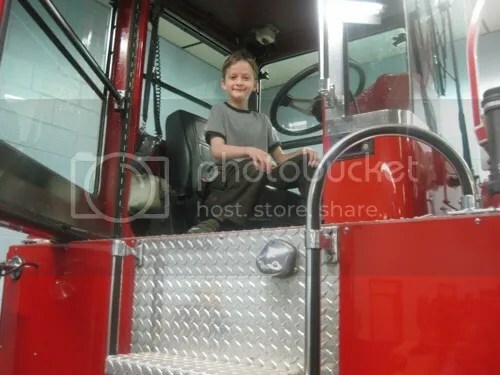 The bigger children all go to go up and sit high up in the back of the tall (100′) ladder truck. 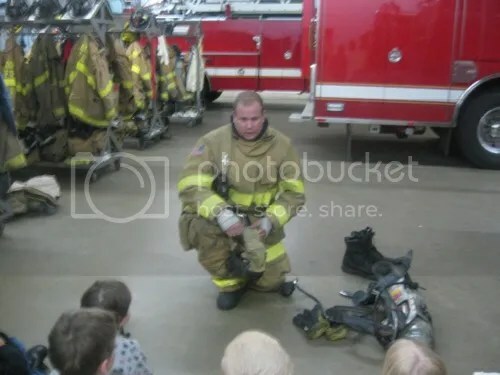 A fireman showed them each part of his gear and he put it on for them. He told them that if they ever see or hear a fireman looking like him to make lots of noise and don’t hide because they are there to help. It was a fun visit. Because there were only 9 children and three adults, they let the kids touch things and do more than they would with a bigger group. They even took us back to the living/waiting area and we got to look in a bunk room and their living room with the big screen TV as well as the big industrial kitchen. That was an extra special treat. I hadn’t planned on going or taking the little two, but I’m glad we all went. 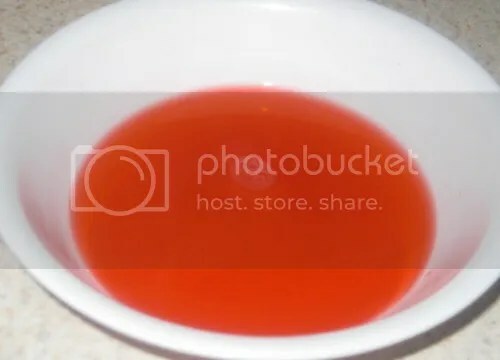 When I eat Jell-O I always wonder if it’s really a solid or a liquid. And whether to chew or just swallow or to push it around my mouth allowing it to completely liquify. Saturday Jamie and Cameron did an experiment with some Jell-O Cameron had made (he’s our Jell-O boy… he loves making it and eating it). I got the idea for the experiment from, of all places, Bill Engvall. 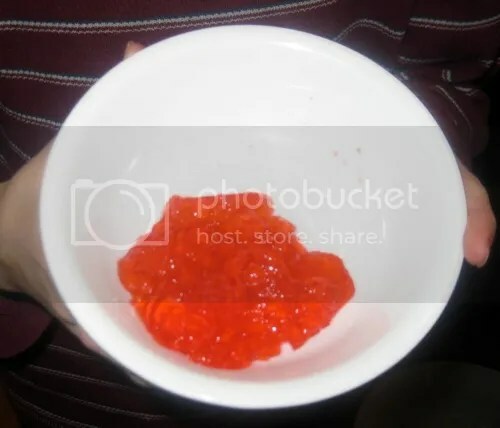 They put some Jell-O in a bowl. 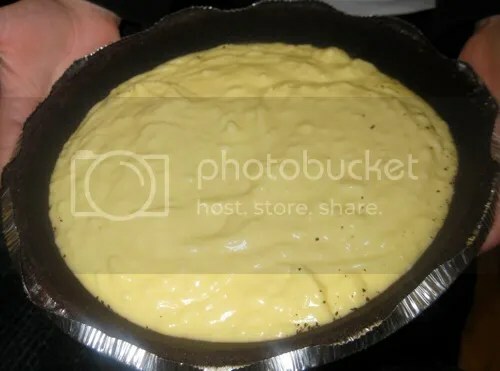 Then they microwaved it for 15 seconds. When it came out it was totally and completely liquified. 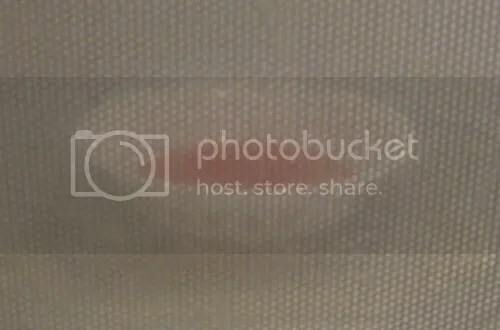 The big question is how long did it actually take for it to liquify. They could’ve tried out different lengths of time, but that would be wasting Jell-O and Cameron would much rather just eat it. The kids really enjoyed our science experiment today. 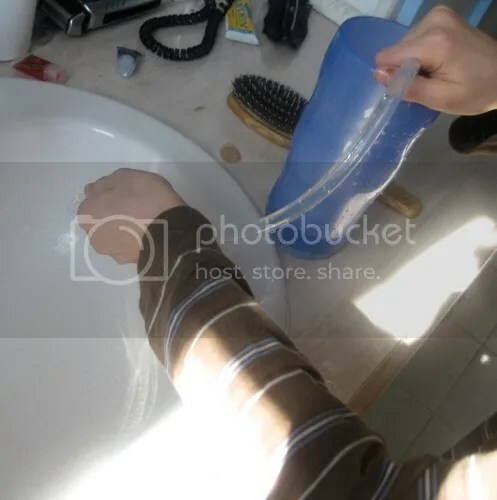 We used a length of clear plastic tubing about two feet long, a drinking cup, and water from our bathroom sink. First we played with the tube in water. 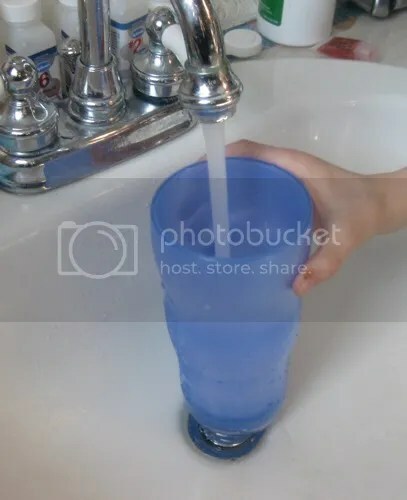 We filled the cup with water. They put the tube in the cup straight up. Nothing happened to the water. They put one end of the tube in the cup and bent it down toward the sink. Again nothing happened to the water. We emptied the water out of the cup and refilled it. 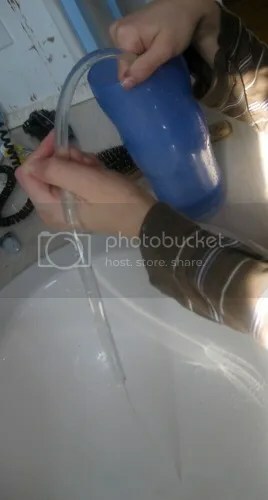 This time we started out with the tube in the cup and filled it by running the water through the tube. Cameron really liked this experiment so he repeated it several times, changing little things each time to see if it changed the outcome. 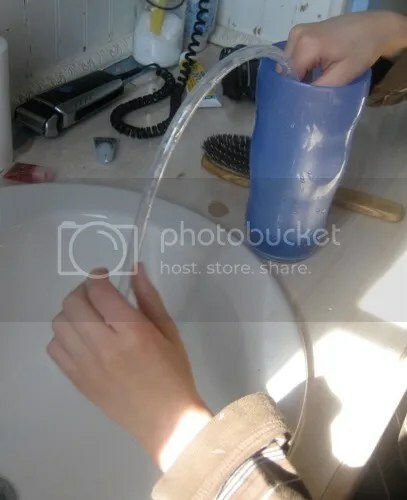 He discovered the end result is much better and faster if you use warm water instead of cold to fill the cup through the tube. 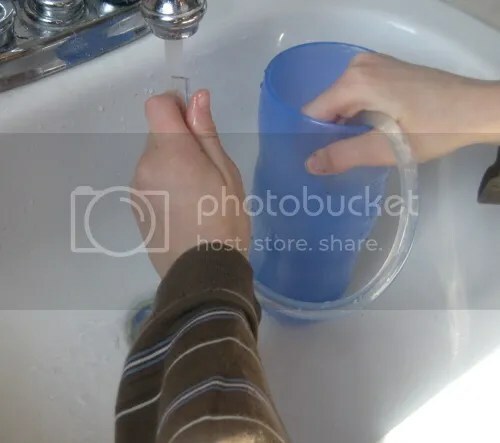 Once the cup was 3/4 full, we quickly covered the end with a thumb so no air could escape. 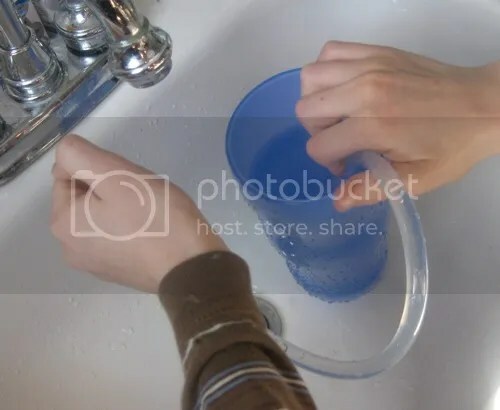 We carefully moved the cup with the tube bent down to the sink to the side of the sink with the thumb still over the end. Finally, we uncovered the end of the tube and watched as the tube acted as a siphon to bring the water up and out of the cup. 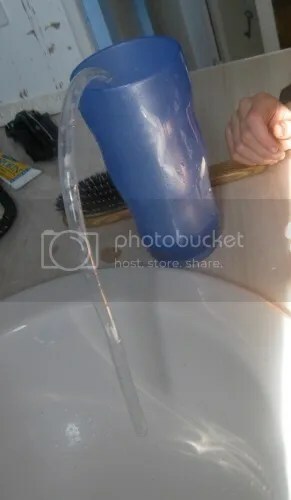 This works because as the water already in the tube runs out downhill it pulls the water behind it. Air pressure in the atmosphere pushes the water into the tube from the cup so the siphon keeps flowing.